A surfing town on Mexico’s Pacific coast, with beaches fringed by jungle and forever laidback vibes, Sayulita is the stuff of our postcard-perfect tropical getaway dreams. 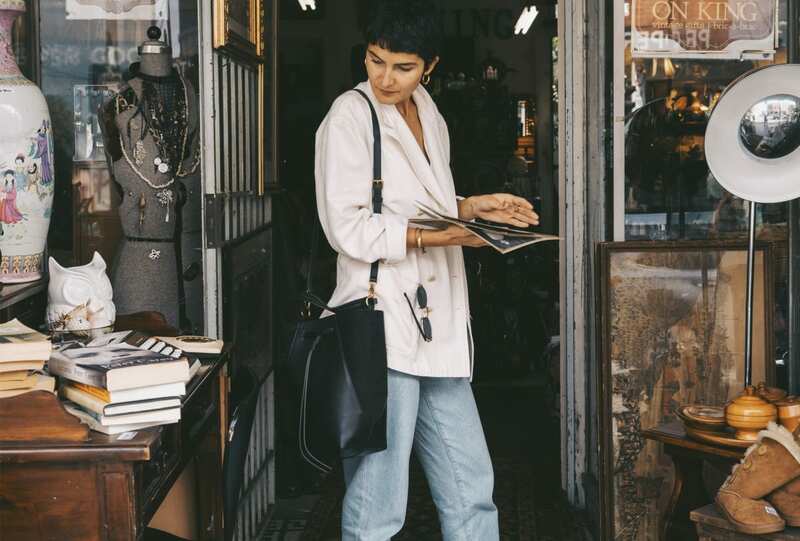 Here, RUSSH Fashion Editor Bridie Gilbert shares the best of her trip to the coastal town, from boutique hotels to swim spots, and where to find the perfect one-of-a-kind cover-up. Hotelito La Esperanza. Owner and resident of Sayulita (via Byron Bay originally) Lucy Elliot runs this new and cute boutique hotel in the centre of town. It’s connected to her organic restaurant La Esperanza which is a must. Particularly great for vegetarians. They also make the best mescal margaritas in town. It gets better – Lucy is a remedial massage therapist and acupuncturist, and offers treatments from the hotel, another must. For something with an ocean view, Casa Love is a Sayulita institution. A beautifully designed and decorated beach guesthouse run by french expat Talaly and her incredibly good looking family of surfers. Yeikame for the best blue tortillas and guacamole in town. For something really special take a drive to neighbouring town Punta Mita and dine at Si Señor for the best service, view and freshest Mexican fare you will come across in Nayarit. Pachamama for one-off dresses, Debbie de la Cueva for tiny early century beaded necklaces, Evoke for homewares and Artefakt for original pieces made by locals. At Playa Carricitos or Litibu. Hand-dyed cotton gauze dresses from Pachamama over Tigerlily or Yasmine Eslami bikinis with traditional leather Huaraches. Ray-Ban round gold metal framed sunglasses. Organic by John Patrick slip dresses. The only beauty products you’ll need are RMS “Un” Cover-Up, Hydroskin Mask, La Roche-Posay sun care, Olaplex hair treatment and Christophe Robin Cleansing Purifying scrub with sea salt.